Please note this competition is now closed, thank you to all the people that entered. The winner will be announced as soon as possible. 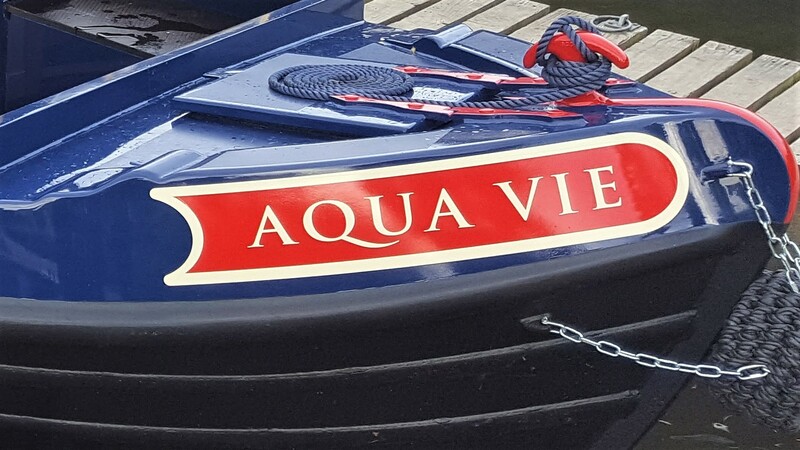 To celebrate the launch of the most recent luxury narrowboat to our hire fleet ‘Aqua Vie’, we’re giving one lucky person the chance to win a short break on one of our 5* luxury narrowboats for their family or group of friends. 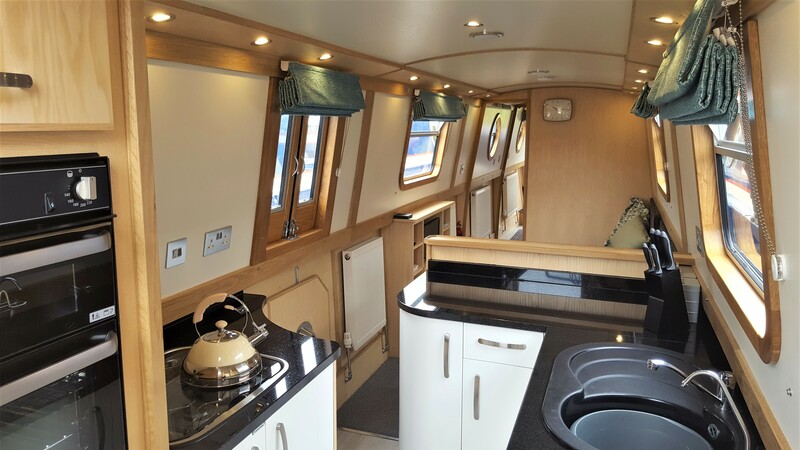 Aqua Vie was launched May 2017, she is a 50ft 2-4 berth narrowboat, with the high specification you come to expect from Aqua Narrowboats: cabin with permanent extending double bed, spacious walk though bathroom, and beautiful galley with granite worksurfaces coming fully equipped with fridge, hob, oven and microwave. 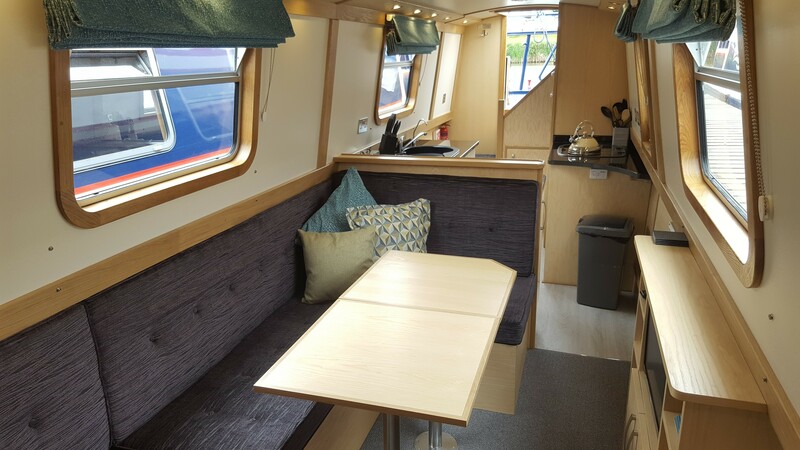 The flexible large saloon area can convert to a dining area with removable table, or an extra sleeping area for 2 more people. 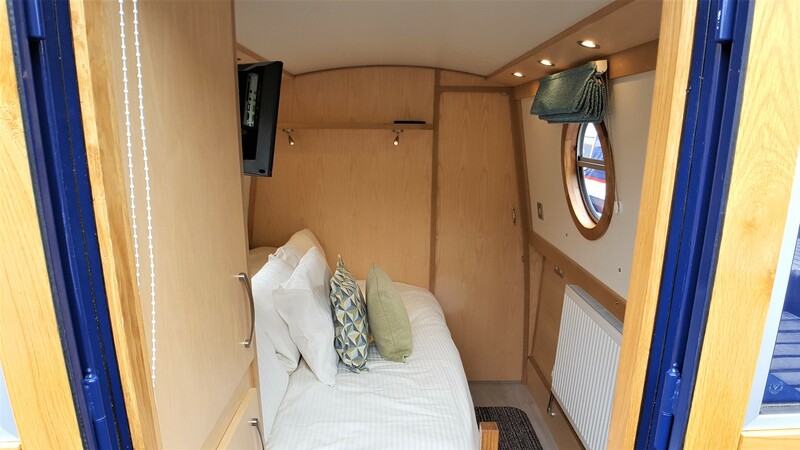 Open the doors and windows and let the breeze drift through in the summer, or keep cosy and warm in cooler weather using the excellent central heating system on board. This attention to style and comfort ensures you have a perfectly relaxing and luxurious canal boating holiday. Enter your details below, which will subscribe you to Aqua Narrowboats E-Newsletter. Only one entry per person via each method. You must be over 21 years of age to enter due to age restrictions for the skipper. The winner will be selected at random by a third party, at 12noon on 2nd June 2017. The winner will be contacted by email and given 3 days in which to reply and claim the prize. If not claimed within 3 days, a new winner will be selected at random and emailed. This process will be repeated a maximum of 3 times. The luxury canal boat holiday prize includes the hire of a narrowboat for a short break holiday (Saturday to Tuesday or Tuesday to Saturday) on any available hire period from 9th September to 21st October 2017 or 3rd March to 12th May 2018; plus free DWF and free cruising fuel for the period. Food and transport to/ from our base at Mercia Marina is NOT included. The winner and invited guests will need to comply to the terms and conditions of canal boat hire and holidays with Aqua Narrowboats. All entries are automatically subscribed to the Aqua Narrowboats E-newsletter which gives details of special offers, new boat builds and canal gossip!! You can unsubscribe from this newsletter at any time.